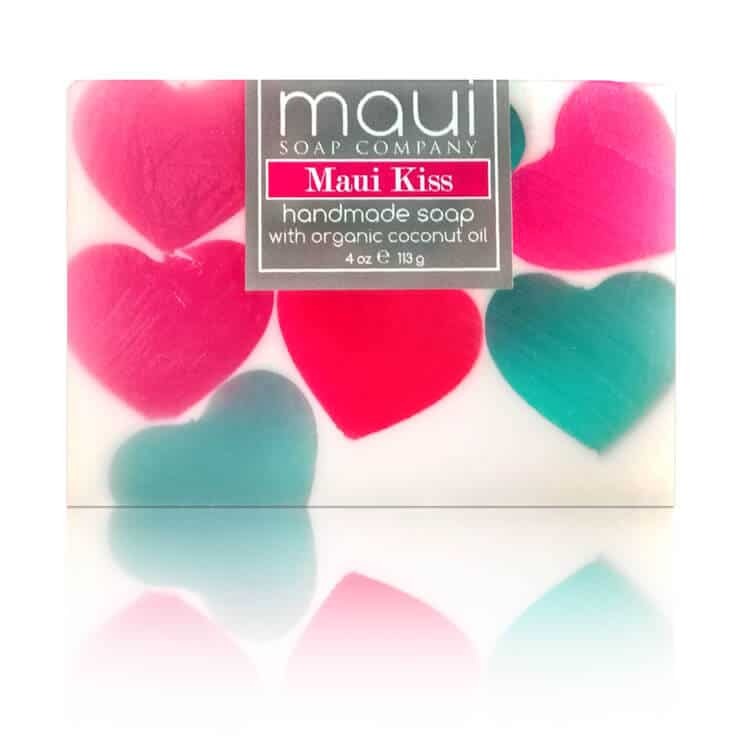 Maui Soap Co.’s Maui Kiss artisan soap is more than just a great cleaning soap, it’s also filled with LOVE! And what you’ll LOVE about this soap is it’s beautiful aroma of orange, mango and hibiscus. Doesn’t that sounds LOVEly? We LOVE making it too. 🙂 A Kiss from Maui to you!